CAA warmly thanks the five thousand attendees, participants, exhibitors, and guests who made the 100th Annual Conference in Los Angeles a tremendous success. In the next few issues of CAA News, you will read more about the conference—including summaries of ARTspace, the Distinguished Scholar session honoring Rosalind Krauss, the speakout sessions, and more—as well as reports from the meetings of the Board of Directors and the Professional Interests, Practices, and Standards Committees, which all have full, exciting agendas for the coming year. 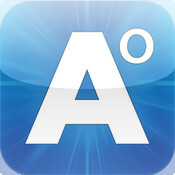 The 101st CAA Annual Conference will take place in New York, February 13–16, 2012. The 2013 Call for Participation, which solicits your papers and presentations for the event, will be published and mailed in March and also be available on the CAA website as a PDF for download. Angela Ellsworth. Fehily Contemporary, Melbourne, Australia, August 4–27, 2011. Training, Walking, and Drawing. Drawing and performance. Patricia Cronin. Conner Contemporary Art, Washington, DC, February 4–March 10, 2012. Patricia Cronin: Bodies and Soul. Sculpture. Lisa Ficarelli-Halpern. Center for Visual Arts Gallery, Brookdale Community College, Lincroft, New Jersey, January 31–February 29, 2012. objex.desire. Painting, printmaking, and sculpture. Rachel Epp Buller. Steckline Gallery, Newman University, Wichita, Kansas, January 27–February 17, 2012. Those Were the Days. Mixed-media monoprints and boxes. Patricia Villalobos Echeverría. 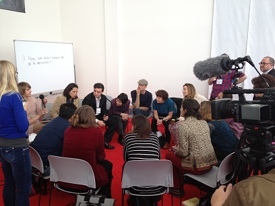 Urban Institute of Contemporary Art, Grand Rapids, Michigan, December 9, 2011–February 16, 2012. Nodes [N 42° 57’47" W 85° 40’07"]. Video and sculptural installation. Linda Stein. Burnell R. Roberts Triangle Gallery, Sinclair Community College, Dayton, Ohio, February 2–March 7, 2012. The Fluidity of Gender: Sculptures by Linda Stein. Sculpture. Linda Stein. Ford Gallery, Eastern Michigan University, Ypsilanti, Michigan, March 19–April 18, 2012. The Fluidity of Gender: Sculptures by Linda Stein. Sculpture. Mark Williams. Real Art Ways, Hartford, Connecticut, January 19–April 1, 2012. The War Is Over. Painting, printmaking, watercolor, photography, drawing, sculpture, and light drawing. Cora Cohen. D. M. Allison Art, Houston, Texas, January 14–February 18, 2012. Cora Cohen: Works on Paper. Watercolor and mixed media. Angela Ellsworth. Lisa Sette Gallery, Scottsdale, Arizona, November 3–December 31, 2011. They May Appear Alone, in Lines, and in Clusters. Sculpture. Clarence Morgan. Fairbanks Gallery, Oregon State University, Corvallis, Oregon, February 13–March 6, 2012. Material Traces. Painting, drawing, and mixed media. In 2013, Visual Resources: An International Journal of Documentation intends to publish a special issue dedicated to the topic of “Digital Art History.” For full details on the issue, please visit the Taylor and Francis webpage for the journal. What kind of art-historical scholarship is now possible in the digital environment that could not be done before? What new types of questions can be posed now? How might digitized resources (texts and images) be used to produce innovative scholarship? How might the digital environment allow scholars to address existing or “traditional” questions with new evidence or conclusions? While exploring what is now possible, it is also important to consider the challenges that the field of art history still faces with respect to scholarship in the digital age. Contributors might also ask what prevents the field of art history from widespread adoption of the new research tools and techniques associated with the digital humanities. Visual Resources invites researchers and educators in art history and visual studies to submit proposals for this special issue. Abstracts should be 750 words in length and be accompanied by a one-page CV that includes up-to-date contact information for the proposed contributor(s). Abstracts and CVs should be sent to Murtha Baca and Anne Helmreich, coeditors for this special issue. Deadline: March 23, 2012 (5:00 PM PST). Meet Baca, Helmreich, and representatives from Taylor and Francis at the upcoming CAA Annual Conference in Los Angeles on Friday afternoon, February 24, 2012, 2:30 PM, at the Routledge booth in the Book and Trade Fair. Refreshments will be served at the booth. Joseph Basile, a professor of art history and chairperson of the Department of Art History at Maryland Institute College of Art in Baltimore since 1994, has been named associate dean for liberal arts at his school. Angela Ellsworth, a sculptor and professor of art at Arizona State University in Phoenix, has been awarded tenure. Dennis Farber, a faculty member in the Foundation Department at Maryland Institute College of Art in Baltimore since the 1990s, has been named associate dean of foundation studies at his school. Anne Marie Oliver, assistant professor of intermedia and contemporary theory at Pacific Northwest College of Art in Portland, Oregon, has been named cochair of the master’s degree program in critical theory and creative research at her school. P. Gregory Warden, professor of art history and associate dean for research and academic affairs in the Meadows School of Art at Southern Methodist University in Dallas, Texas, has been appointed president of Franklin College in Lugano, Switzerland. Warden will leave his current institution at the end of academic year 2011–12. David Bomford has left his position as acting museum director of the J. Paul Getty Museum in Los Angeles, California. Bomford, who joined the museum in 2007 as associate director for collections, will return to London to pursue research, scholarship, and writing. Joy Garnett, a New York–based painter and the editor of NEWSgrist, has become director of Theodore:Art, a gallery that has recently relocated from Manhattan to Brooklyn. Suzanne Folds McCullagh has been named Anne Vogt Fuller and Marion Titus Searle Chair and Curator of Prints and Drawings at the Art Institute of Chicago in Illinois. A museum staff member since 1975, McCullagh succeeds Douglas Druick as the head of her department. JoAnne Northrup, previously chief curator at the San Jose Museum of Art in California, has joined the Nevada Museum of Art in Reno as director of contemporary initiatives. Martha Tedeschi has been named Prince Trust Curator in Prints and Drawings at the Art Institute of Chicago in Illinois. A museum staffer since 1982, Tedeschi takes the curatorial reins from Douglas Druick. Sheena Wagstaff, chief curator at Tate Modern in London since 2001, has been recruited as the new department head of twentieth- and twenty-first century art at the Metropolitan Museum of Art in New York. Kenneth Wayne, a consultant for arts organizations since 2010 after leaving a curatorial post at the Heckscher Museum of Art in Huntington, New York, has joined the Noguchi Museum in Long Island City, New York, as deputy director for curatorial affairs. 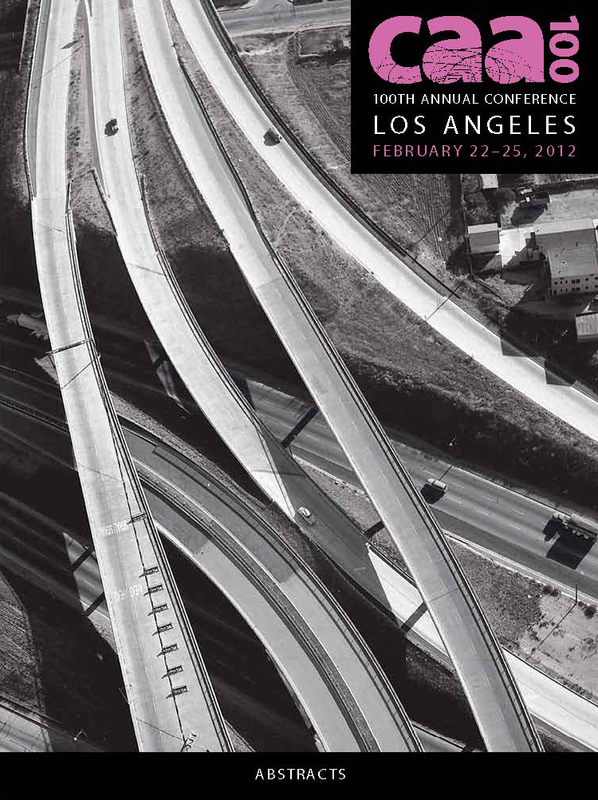 Registrants for the 2012 Annual Conference in Los Angeles can now download Abstracts 2012. This publication, available as a PDF, summarizes the contents of hundreds of papers and talks that will be presented in program sessions. Reading the abstracts in advance can help you plan your daily schedule at the conference. Program sessions are alphabetized by the chair’s last name and appear in the contents pages (4–10). An index in the back of the publication names all the speakers. Alternatively, use your Adobe Reader to conduct a keyword search for terms relevant to your interests. After conference registrants log into their CAA account, they can click the “Abstracts 2012” image in the middle of the screen to download the PDF (1.9 MB). Abstracts 2012 is part of the registration package; there is no added cost to paid or complimentary registrants for this publication. Conference attendees who purchase single-time slot tickets, or those who want Abstracts 2012 but are not coming to Los Angeles, may attain the document for a charge: $30 for CAA members and $35 for nonmembers. Abstracts 2012 will remain on the CAA website for download or sale through July 31, 2012. 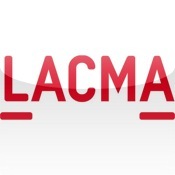 CAA encourages you to look into a handful of free and low-cost smart-phone apps to help you navigate museums, galleries, and other art-related events, enhancing your conference experience in Los Angeles. Most of the apps, which offer an abundance of exhibition information for the Hammer and Fowler Museums and for Pacific Standard Time, are designed for iPhones, iPads, and iPod Touches; several work with mobile devices using Android. A few of these apps assist with travel and transportation around the city, and with finding restaurants. 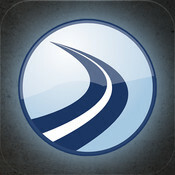 The apps are available in the iTunes Store and in the Android Market. ArtConcierge is a free guide to galleries, art fairs, and art-related exhibits, including programming for the Getty Center’s Pacific Standard Time and to independently organized events. 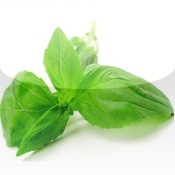 GPS navigation is available for all selections. 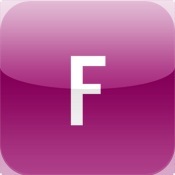 ArtConcierge is produced by Fabrik Media Group, which publishes the magazine Fabrik. Artcards gives you free instant access to a comprehensive list of current art openings, talks, performances, screenings, and related events in greater Los Angeles. Galleries are grouped by neighborhood or city. 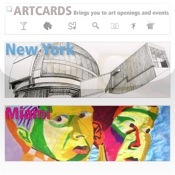 Artcards provides names of artists, titles of shows, event day and time, and links to maps and to each gallery’s website. 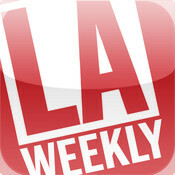 The free LA Weekly app offers content from the printed newspaper and its website. Updated events listings include: live music, art openings, comedy clubs, theater, and dining options. Search for a particular event or use a GPS device to find events near you. 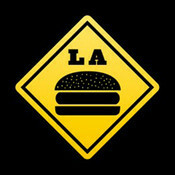 More than two thousand restaurant listings and write-ups by the celebrated food critic Jonathan Gold. Get it for Apple or Android devices. Learn all about the Los Angeles art world from the 1940s to today with The Getty: Art in LA, Pacific Standard Time at the Getty Center. This free app for both Apple and Android devices highlights all four Pacific Standard Time exhibitions held at the Getty Center. See paintings, sculptures, photographs, and archival material, listen to audio, and read the stories behind the artworks. Getty Goggles will help you explore and learn more about paintings in the Getty Center in Los Angeles. 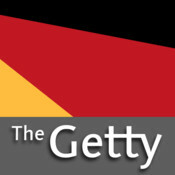 Simply photograph a work of art you are interested in and click the Getty result to hear insightful commentary from artists, curators, and conservators. 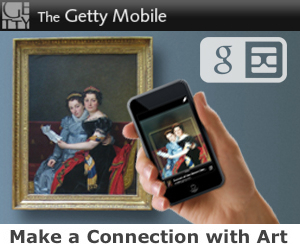 Getty Goggles works with Apple products and mobile devices using Android. Use the free Hammer Museum app to plan your visit and to experience in-depth content about the Hammer’s exhibitions and collections. Features include: interviews with artists and curators discussing specific works of art, videos of artists describing their practices, and excerpts from exhibition catalogues. 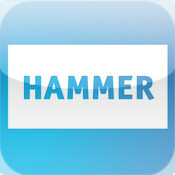 The Hammer app is compatible with Apple products and mobile devices using Android. The free Fowler Museum Guide app provides visitors with a tour of the Fowler Museum’s permanent collection of more than 150,000 art and ethnographic objects and 600,000 archaeological objects representing ancient, traditional, and contemporary cultures of Africa, Native and Latin America, and Asia and the Pacific. The app also gives information on temporary exhibitions. Designed to help you learn more about the Norton Simon Museum’s current and upcoming exhibitions and events, this free app lets you browse the collections, listen to podcasts and audio stops, watch videos, and learn about the museum’s history. The app also lists the museum’s hours, admission fees, and directions. 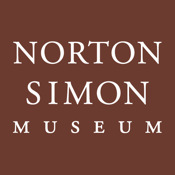 Listen to the award-winning Norton Simon Museum Audio Tour. More than four hundred stops are featured in English and Spanish, including tours for adults and children. Look for the audio-tour icon and stop number on the labels of many of the museum’s artworks. 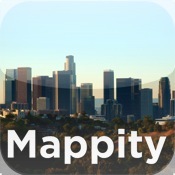 Mappity Los Angeles, available for $.99, offers a map of Los Angeles with features such as street-level map details and custom mapping for door-to-door travel. The free Beat the Traffic app for Apple, Android, and BlackBerry tells you about the road and traffic conditions in your desired city. Its features include: real-time traffic maps, GPS displays of traffic jams in your area, and weather information. 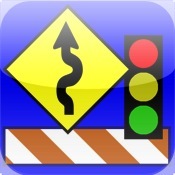 Beat the Traffic HD Plus+ is an ad-free version that is available for $4.99 in the iTunes Store and $3.99 in the Android Market. The California Traffic Report, a free app produced by the University of California, San Diego, delivers real-time traffic reports, including approximate commute time, traffic speeds, and maps. It covers greater Los Angeles, the San Francisco Bay Area, and San Diego. Yes, public transportation does exist in Los Angeles. Use the free Go-Metro Los Angeles app to help you navigate the city’s bus system. Features include: maps, timetables, fare information, and a trip planner. The Los Angeles Street Food app ($1.99) covers cheap eats in the city, from Vietnamese pho houses to Mexican taco stands to grilled-cheese food trucks. The interactive maps will help you navigate the city, while listings are organized into categories and publish in-depth reviews, Twitter links, and picture slideshows. This app, though, does not track food trucks. Vegan Los Angeles supports a healthy vegan lifestyle in Los Angeles. Find recipes and vegan restaurants and watch cooking demonstrations using this free app for Apple and Android mobile devices. Revised on February 16, 2012.